Shipping parcels to a destination such as Australia can seem like a daunting and complicated process. The thought of sending a parcel to a destination such as Australia can seem like an all-too-overwhelming process. Here at NI Parcels, we know a thing or two about shipping all kinds of parcels across the globe. Whether you’re a small business in need of an international shipping solution, or whether you’re simply sending a one-off parcel to a loved one on the other side of the world. We’re here to shed a bit of light on shipping to Australia to make the whole process much more digestible. 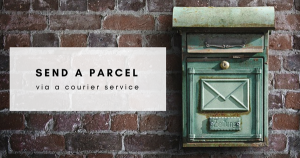 Although it certainly doesn’t have to be as daunting and as complicated as it appears on the surface, when sending a parcel to Australia there are a number of things worth knowing before you even start comparing international courier quotes. There are a number of reasons why businesses or individuals may want to ship parcels to Australia. As a small business, you might be aiming to expand your services internationally, and as such, find yourself researching the best shipping solution to fit your needs. On the other hand, you may have a loved one residing in the Land Down Under and perhaps wish to send them a touch of home in a thoughtful care-package. The possibilities are endless – however, regardless of what your reason might be, it’s essential to do your research before going ahead with it. When importing goods into Australia, you are legally required to complete and attach a customs invoice to your shipment. Whether you’re sending business samples, gifts or personal effects; if your shipment is not accompanied by a customs invoice, it will not make it past your local country border, and you may have to pay hefty return charges to get it back (unless you’re sending only documents). A customs invoice is used by the destination country’s Customs authorities to access and inspect the imported goods, and to levy any duties or taxes that they may deem applicable to the goods being imported into their country. It is important to understand that it is not the courier who is applying additional charges, is it the Customs authorities. When shipping to Australia, you must comply with this. Sending goods temporarily into Australia? If you know that the goods you are importing into Australia will leave again within 12 months, this is referred to a a ‘Temporary Import’. It is unlikely that you will have to pay any duty and tax on this type of shipment, however, there are strict conditions in place for these shipments. If you do not tell Customs when the goods leave Australia, then you will likely have to pay the duty and tax that would have been payable when you first imported them into Australia. Be sure to research this! Thinking of sending a thoughtful gift to a loved one residing in Australia? When shipping to Australia, gifts are their own entity, and are not classed as personal effects. Therefore, any and all gifts imported into Australia go through normal Customs clearance. 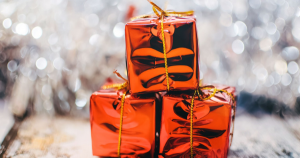 Unfortunately, there is no duty or tax concession for sending gifts to Australia; this means that, regardless, your recipient will have to pay duties and taxes in order to clear the goods through Customs. This is a regulation imposed by the Australian Customs authorities and is not subject to dispute in any case. Goods that can be declared as personal effects and which can be exempt from duty and tax usually include; personal clothing, furniture, rugs, books and bicycles. When completing your customs declaration, it is important to do so properly and clearly. In order to demonstrate that your shipment consists of personal effects, you will be required to accurately describe each item included in the package. For example, if it is a shipment consisting of personal clothing, you would declare this as: “5 x t-shirts, 2 x pairs of jeans, 3 x dresses” etc, as opposed to “10 x clothing”. Although NI Parcels does not specifically specialise in shipping personal effects, there are many reputable companies offering convenient luggage shipping services to Australia, including My Baggage, who offer door to door luggage shipping. For security, quarantine and customs reasons, there are certain items which may be prohibited or restricted from importing into Australia. It is very important to note that some restricted items can still be sent, however, they may require your recipient to obtain a permit or import license in advance for customs clearance. This will require some in-depth research to avoid disappointment further down the line. It is important to be aware that any shipments containing any restricted items such as foodstuffs or wooden products may result in the shipment having to be cleared by Australian quarantine, which can result in delays and potential additional charges. It is also worth noting that import allowances, security and customs processes differ all over the world. As such, it is strongly recommended that you do your own personal research into what may be prohibited in your destination country before getting ready to send your parcel. Australia goes to great lengths to protect its stunning natural environment and habitats from harmful diseases; this means that many products, goods and even some packaging materials are prohibited. *It is important to note that all wooden boxes, crates or pallets must be fumigated and also be accompanied by a fumigation certificate for entry into Australia. As is standard with all parcels, it is advised to invest in new, sturdy, double-walled (or even triple-walled) cardboard boxes as they are most durable and suitable for transporting all different types of items. If you are sending any fragile or delicate items, it is recommended to use internal packaging to protect them during transit. You can use a range of materials such as bubble wrap, foam or newspapers. 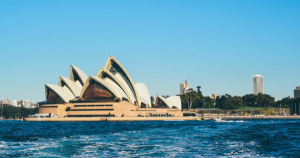 Hopefully our handy guide gives you some further insight into shipping parcels to Australia. If you have any questions about the process or wish to enquire about shipping parcels to Australia with NI Parcels, give us a shout or find out more below! Need to send a parcel? Learn more about NI Parcels.